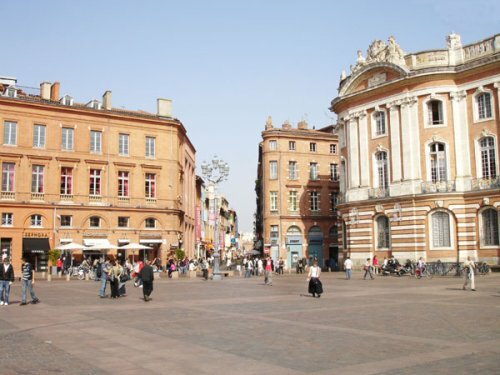 My home is situated 20 minutes drive from Toulouse in a quiet but animated area of the South of France. An airport is situated at Toulouse. There is a bus stop close by, and the bus services the metro station which is a 10 minute bus ride. The metro is a fast service into Toulouse which takes approx 15 mins. There are shops within a few hundred metres of my place, and a vibrant village approx 600 metres. The canal du midi passes my village, and is a short walk from my apartment. A great restaurant is situated at the lock where I spend a great deal of leisure time with friends. There is a bike and walking path which is alongside the canal. The canal stretches all the way from the Mediterannean to the Atlantic. I am a 90 minute drive from the Pyrenees mountains, a 3 hour drive from the Atlantic ocean and under 3 hours to the Mediterannean .